Amidst all the euphoria over iPhones and iPads, we seem to forget the products Apple initially made their name off: actual computers! From the old Macintoshes to the iMacs, Apple computers have long offered a popular, competitive and fashionable alternative to Windows computers and continue to do so. The latest 21.5-inch iMac is a testimony to the brilliance of Apple computers. Here is a brief review. 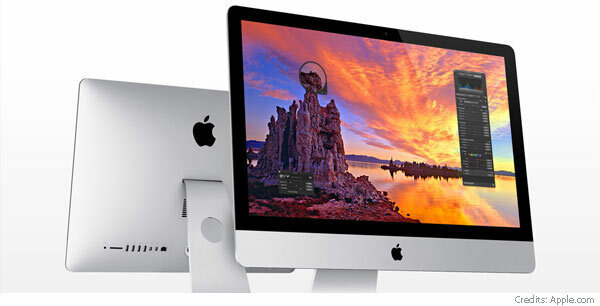 The New 21.5-Inch iMac is the entry level iMac from Apple’s newly redesigned all-in-one line. It has a 21.5-inch screen, a Core i5 CPU from Intel and 8GHz of RAM and a 1TB standard hard drive. The most interesting thing about this iMac is its new design. From the front it actually looks like the old design, but when you turn it you’ll see it has a much thinner edge coming out to a rounded display at the back. Furthermore in regards to the new design, there are a few new features worth noting. There’s an anti-glare coding in the screen and also a second microphone at the top of its back, designed to make audio a little bit better when you’re doing video calling. One negative with the new design is that you can’t change the memory yourself anymore. You used to be able to do this on the old iMac and you can still do it on the new 27-inch version but just not on the new 21.5-inch model. In terms of the iMacs physical specs, along with the new features, you also get the same array of ports as in previous iMacs. There’s an audio jack slot for headphones that also works with digital audio output, and also an SD memory card slot, four USB ports and a pair of thunderbolt jacks for connecting monitors or other thunderbolt capable devices. Finally there’s an Ethernet port jack. The new 21.5-inch iMac boasts a 1920×1080 resolution screen, as well as IPS technology, which means you can view the screen from pretty much any angle without getting distortion in colour or other image quality defects. In terms of the new iMacs competition, this is a pretty fast computer in comparison to the Windows PCs of the same price range. Windows 8 computers in the same price range however, have larger screens as well as more inputs including an HDMI jack, which is actually a big plus over this iMac. There are definitely people out there that either want or need OS Ten or just like the look of this iMac. However, if you want the most hardware for such money spent, you’ll find better options in the Windows 8 range. Virtual Reality (VR): Future or Hype?